Organizers of the Hahnenkamm Races, Kitzbühel Ski Club (K.S.C.) 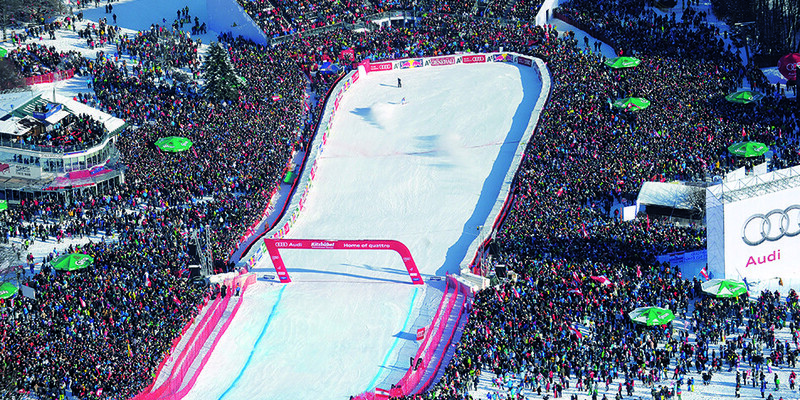 are delighted to welcome another prestigious partner to the races in Kitzbühel. Spectators in particular benefit from many advantages. No more waiting in line to redeem tickets: Cardholders gain even faster access to the spectator area with the exclusive Mastercard Fastlane. Just pay with your Mastercard or Maestro debit card and don’t miss a single second of the event. You can also pay by Mastercard at selected stands in the event grounds. You can now make convenient and cashless payments at all official stands in Kitzbühel town centre. Mastercard will cover the cup deposit for all those who pay using their Mastercard or Maestro debit card. Fans will still receive Euro 1 on returning their cup. Admission tickets can be purchased in advance from Ö-Ticket. Mastercard will cover the shipping costs for all fans who pay by Mastercard.